Who wants to put on their Marigolds and wash up? Dishwashers are now an everyday appliance in a kitchen. 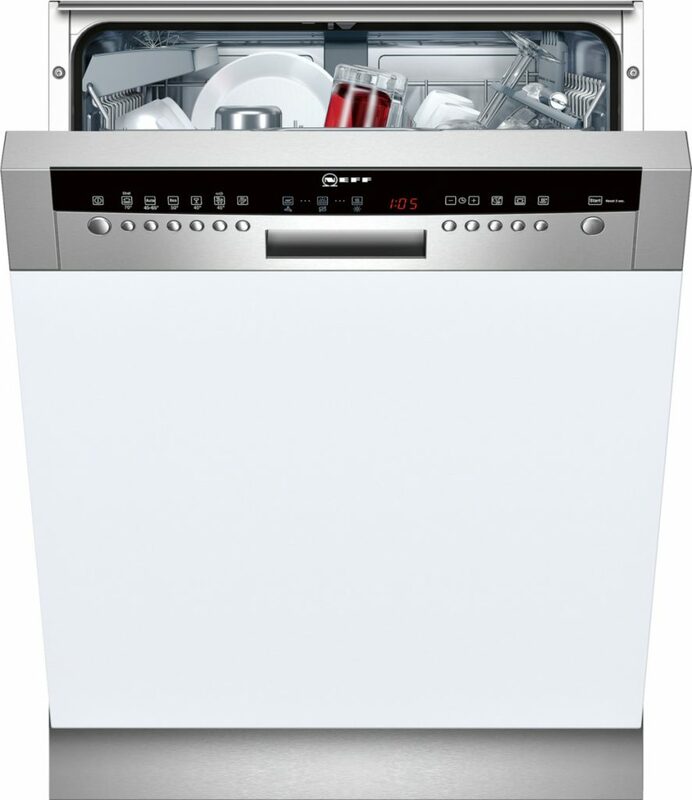 From slimline 45cm to full size 60cm, there is a dishwasher to suit your needs. Dishwashers can be basic with simple wash programmes or high tech and show you the amount of water and energy consumption each cycle takes. Freestanding dishwashers stand alone and are normally under a worksurface. They are a coloured enamel or stainless steel and have no kitchen furniture door on the front. 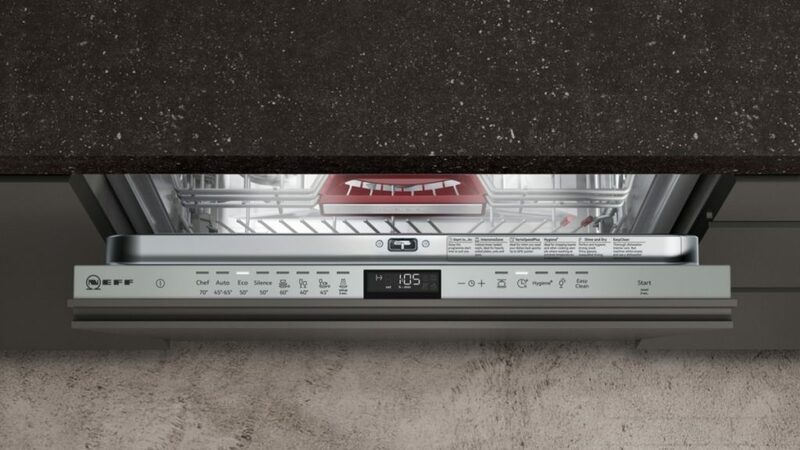 Semi integrated dishwashers are built into a unit and normally under a worksurface. Semi integrated means there is a furniture door at the bottom of the appliance but the facia of the machine is a coloured plastic or stainless steel – this is where your controls for the programmes would be. 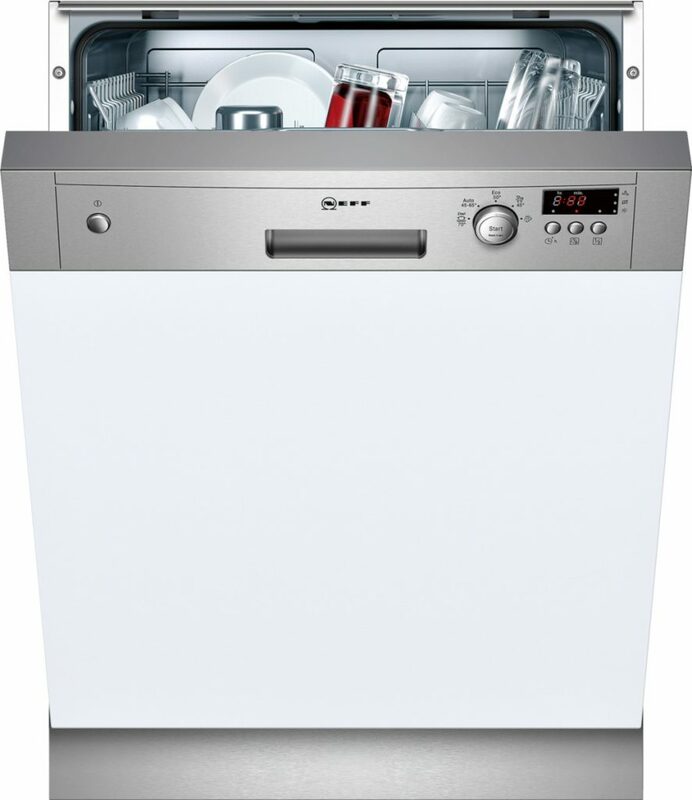 Integrated dishwashers are built into a unit and are normally under a work surface. 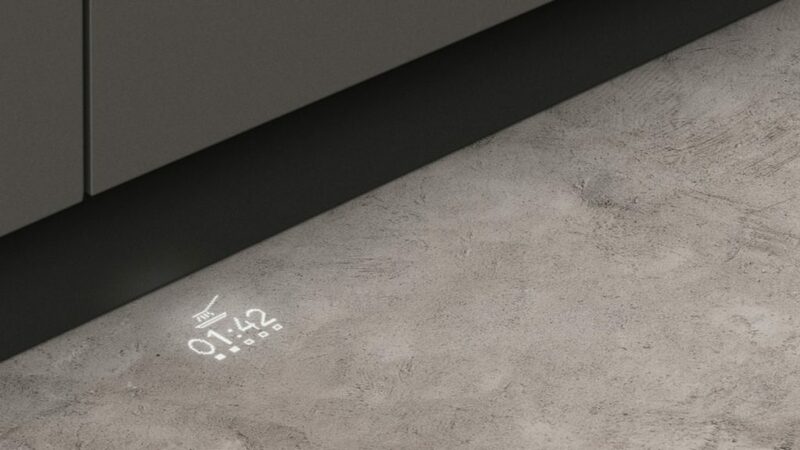 They have a full furniture door on the front of the appliance. You would have to open the door to programme the appliance.